I consider myself a little bit of an expert, when it comes to choosing (and judging) hotels and spend a lot of time investigating all available amenities before booking any accommodation. 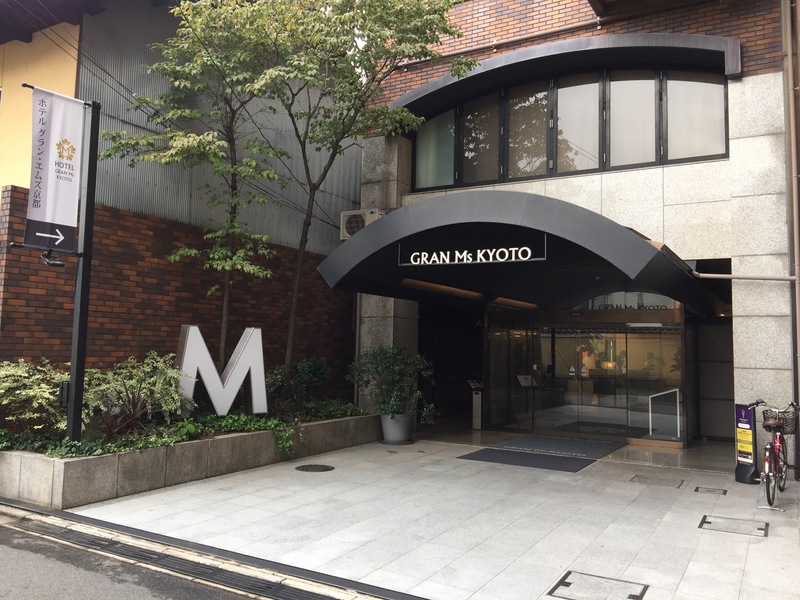 Ms.Gran Kyoto is sort of boutique property in terms of size, but otherwise offers mediocre rooms, dreadful bathrooms and it is really only good for overnight stay with no expectations. Lobby looks promising and the reception staff is friendly but with little knowledge of English. Hotel has no restaurant and it offers no F&B options. There is a vending machine and free to use laundry with one tumble dryer (always busy). central but quietly nestled locality just few metres off the main street, it’s probably the best benefit of this hotel. Easy walk from the nearest metro and easy access to the main street with plenty of restaurants, covered shopping arcades and fun places to see and do. I have booked the Deluxe Twin Room, which is bigger than the standard (micro) room. The décor is nothing much to rave about, but it is ok.
Another bad thing was the window, it didn’t open and it was covered with some vinyl foil. Non existing view and depressing feeling. Also, noise from the corridor can be heard in the room. Bed was comfortable enough, room includes fridge, small safe and desk. Wi-Fi was free but the signal didn’t cover the entire room…weird ! I didn’t really come across many staff except the receptionist’s, where everyone was helpful but with minimal English language. The only staff I saw were the cleaners, which always occupied the room when I returned from the outside. Hotel doesn’t have any food or beverage facility. There are a few breakfast places nearby. Expect long queues to get seated though. Grocery shop is next to the hotel so it is easy to get basic staff like a water, umbrellas etc., ATM is also inside! 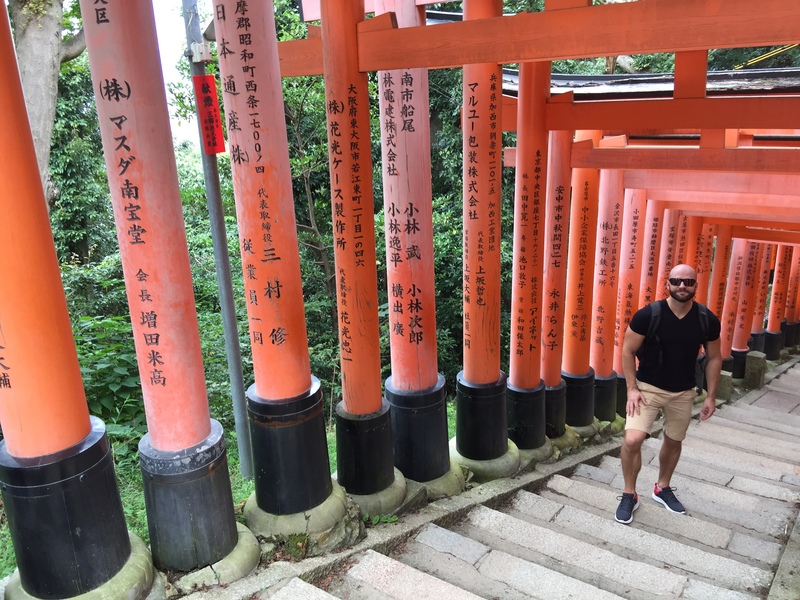 If you are going to spend the entire day exploring amazing Kyoto and need just a bed to sleep, this could be a good option. Otherwise, keep searching elsewhere. well…I personally wouldn’t stay in this hotel again. It has too many cons and the bathroom smell really put me off. Also the inconvenience to search every morning for place to eat breakfast and blocked window view didn’t help…NEXT ! Previous Post: DUBAI PARKS & RESORTS : Riverland’s French Village at night ! Next Post: DUBAI PARKS AND RESORTS : Motiongate…100 photos from world’s newest theme park!